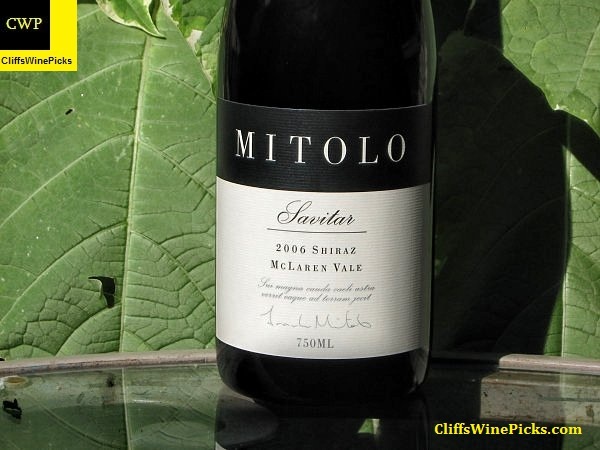 Mitolo is one of the premiere wineries in Australia. The wine maker, Ben Glaetzer, is one of the Australia superstars in the wine business. I’m a big fan of their lower priced Reiver Shiraz but jumped on an opportunity to take a few bottles of this wine off a friend’s hands after they bought a case at a very special price. This wine had a release price of $65 but I was able to grab a few at less than half that price. That’s only a win if you like the wine. Based on a bottle I had several months ago, this is a win! This wine is a blend of only the best barrels of Shiraz and will provide serious enjoyment for anyone that is a fan of big, rich, Aussie Shiraz. Those were the guiding principles Frank Mitolo wrote down when he created the winery in 1999. With his Italian heritage and a family history of working the land, Frank was only interested in pursuing excellence. And the results were there immediately in the release of the first Mitolo wine – the 2000 G.A.M. – named after Frank’s children Gemma, Alexander and Marco. Attracted by this commitment to only create wines of outstanding quality, acclaimed winemaker Ben Glaetzer joined Mitolo as a partner in 2001. With grapes sourced from two of Australia’s premier wine regions, McLaren Vale and the Barossa Valley, Frank and Ben now work tirelessly to surpass their already impressive achievements. Mitolo Wines, praised by some of the world’s toughest critics, are now enjoyed in more than 20 countries around the world. 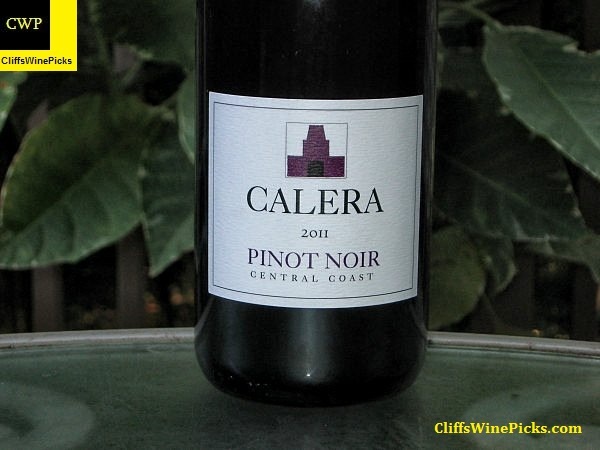 I’m a big fan of the single vineyard offerings of Calera Pinot Noir wines. Unfortunately, most of these single vineyard offerings are a bit pricey to open on a week night. That’s where their appellation wines come into play. These are generally very nice, varietally correct Pinots, that can be found for south of $25. This wine is made of fruit purchased from over a dozen vineyard sources in California’s Central Coast region. In this vintage, grapes from seven different vineyards were blended for the final product. 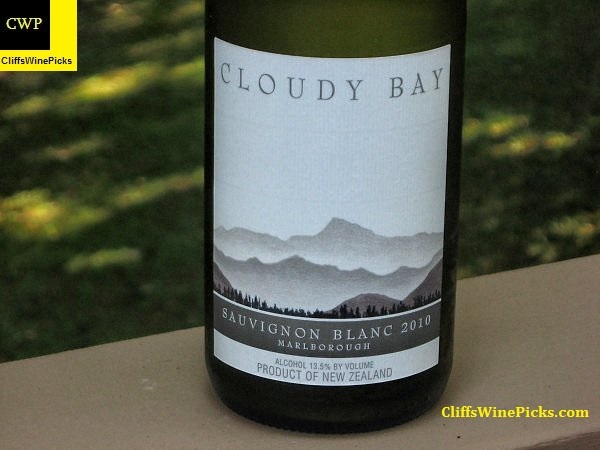 Cloudy Bay has been my favorite New Zealand Sauvignon Blanc for several years. Obviously that opinion is shared by a lot of wine drinkers. This is not the lowest priced Sauvignon Blanc in the marketplace, at times it is a challenge to find it for under $25. A couple years ago, when my local store had it on sale for under $16, I loaded up. Unfortunately, this is my last bottle from that buy. If you are a fan of Cloudy Bay Sauvignon Blanc and want to find a lower priced alternative, try to source some Greywacke Sauvignon Blanc. The owner/winemaker for Greywacke is Kevin Judd, the founding winemaker for Cloudy Bay. After 25 vintages at Cloudy Bay, Kevin set out on his own. 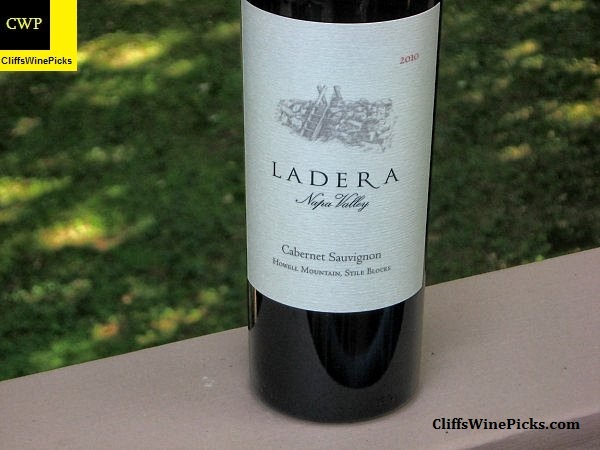 I’ve had and loved the Ladera Howell Mountain Cabernet for a number of years. This is the first vintage of this specific wine. This wine was actually created mainly for restaurants to have on their wine list as an earlier drinking, Howell Mountain cab, that could be listed for under $100. Since this is a new wine and I bought it without tasting it, I didn’t know if it needed a bit of cellar time. Luckily, the local store had a big wine tasting yesterday and this was one of the wines being poured. I was lucky enough to grab a taste and decided it was good to go now. This is a blend of 98% Cabernet Sauvignon and 2% Petit Verdot from Napa Valley’s Howell Mountain.